Arashi Do Martial Arts welcomes world-renowned 8th degree Brazilian Jiu Jitsu Red & Black Belt Mestre Sylvio Behring to Edmonton for the semi-annual Brazilian Jiu-Jitsu Student Symposium. This world-class weekend event will feature several Brazilian Jiu Jitsu seminars, belt gradings, stripe tests, the Progressive System, a photo and autograph session and belt signing opportunities with this amazing martial artist. This event is open to “Arashi-Do Behring Jiu Jitsu” members only. ***Attention*** New online registration system go to this link. The following price is for the Student Symposium and does not include belt promotion fees. 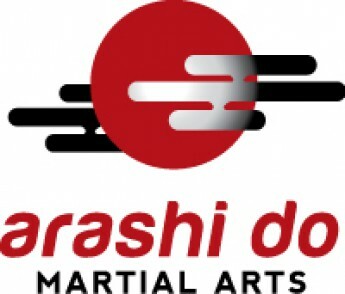 All fees must be paid in advance to your instructor at your Arashi Do Location before the last Thursday before the weekend symposium. Address the instructor by their appropriate title (Professor, Sensei, etc) followed by their first name (eg. Professor John. Kyoshi Mike, Kyoshi Gary). Master Sylvio Behring is the exception as he is referred to by his surname, Master Behring. 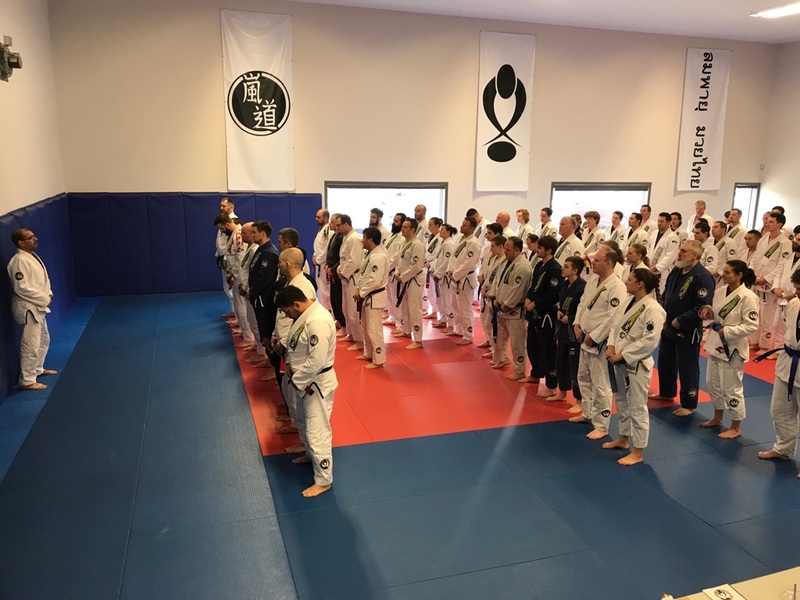 Most classes begin and end with a formal line up with the Black Belts in the front facing the students in order of belt and stripe rank. Students line up from lowest rank in the back to highest rank in front. In cases where two have the same rank, the line goes by seniority. Typically, students bow to each other at the beginning and ending of class. When a belt comes untied during training, find an appropriate location to tie your belt while facing away from senior instructors. No talking when the instructor is addressing the class and remember to stand with your hands on your belt. If you are seated, remember to sit in the “scoot” position, cross legged or on your knees. Questions or requests to repeat a technique are not only allowed, but encouraged. When switching partners between sparring matches always bow and shake hands with your partner before you move to a new partner. It is considered polite for the lower ranks to move to the higher ranks, allowing the higher ranks to remain in the same location. No videotaping of seminars or belt tests allowed. Photographs can be taken during presentations of belts and stripes. Please pick up a Jiu Jitsu etiquette sheet from your instructor. Please ensure that you and your gi is freshly washed and that you are wearing your formal WHITE Arashi-Do Behring Gi and that you follow all the etiquette rules.